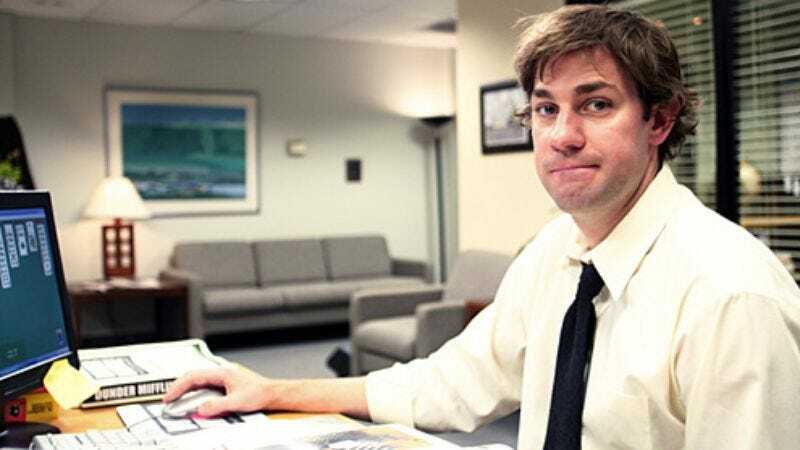 Although The Office’s Jim Halpert was best known for his subtle face-pulling abilities, he was also a pretty decent salesman when he put his mind to it. Actor John Krasinski seems to have maintained both the charm and business acumen of his former character. According to Deadline, Krasinski has sold not one but two new comedies to NBC, both through his Sunday Night production company and its overall deal with Universal TV. The first is a single-camera comedy following a disgraced law student who becomes a garbage collector. The project is written by Shawn Wines and executive produced by Aaron Kaplan (The Mysteries Of Laura, The Neighbors), who have previously collaborated on two projects for Fox. The second project will attempt to combine the workplace/family comedy genres into one hybrid show (a trick few series have pulled off). It follows a middle-aged ad executive who loses his job then launches a grassroots agency from his garage with the help of an eccentric team. The project is written/executive produced by two 30 Rock alums, Josh Siegal and Dylan Morgan. Krasinski has no plans to act in either show and would instead be involved only as a producer. Still, the somewhat similar themes of the two projects may indicate that Krasinski—as Jim often did—has unemployment on the brain.